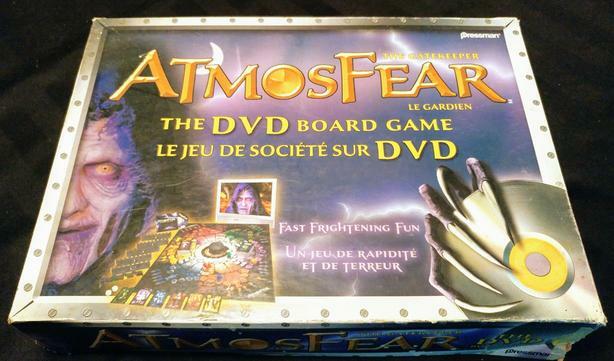 Atmosfear board game, although missing a key piece.. The DVD! The video can easily be found and played on Youtube however, if not too inconvenient. Not in perfect shape, box a bit beat up.